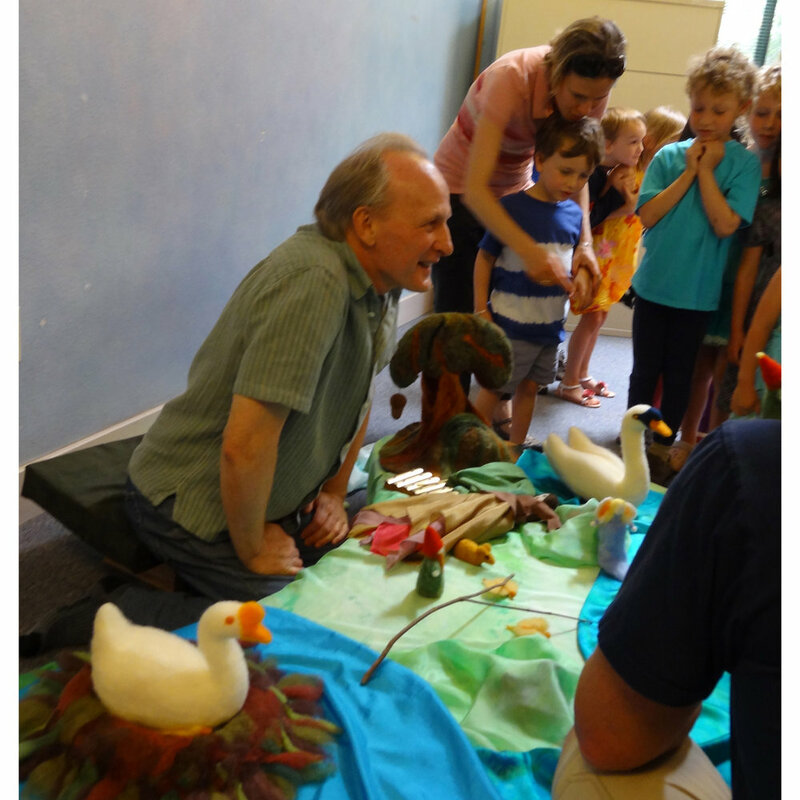 A selection of my puppet shows at various venues. They are a lot of work but to see the kids' faces is a joy. 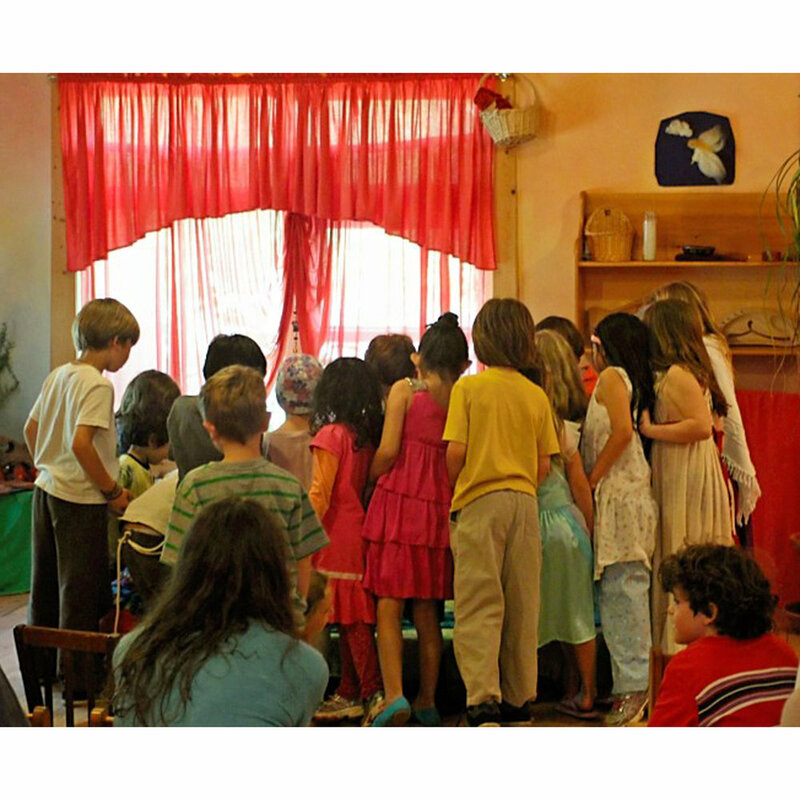 I performed The Cricket and the Shepherd Boy for grades 1 to 4 at the Toronto Waldorf School, and the following day in one of their kindergartens for the general public. The next day, Sunday, I went to the Christian Community and performed it before their children's service. Their community room was being used so I did it in their very small chapel. What a lovely space to do this particular story! Just the right size for a puppet show - and the children were as good as gold! Pine Cone and Pepper Pot in disguise. 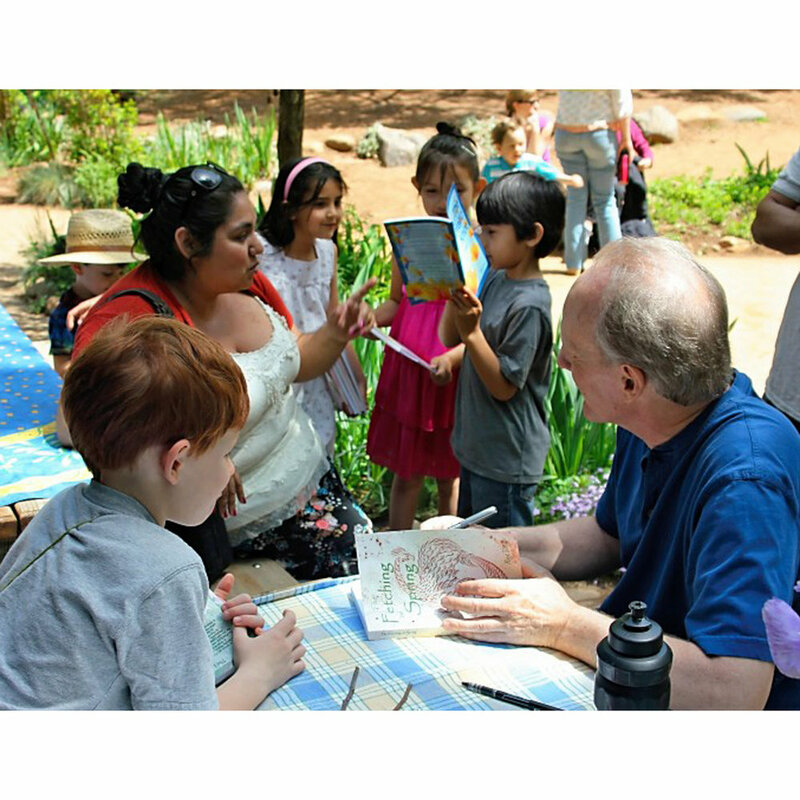 signing books - the kids were wonderful! The Live Oak Waldorf School parents got together a fundraiser whereby a puppet show was given, an author signed books, the kids made crafts and drew, and everyone had good food and fun - and lots of sunshine! It was a lovely day to say the least - as the photographs show. As you can see from the opening photograph, Pine Cone and Pepper Pot were spotted at the show. They were disguised as grown-up humans pretending to be gnomes. One of them even pretended to be a woman! They had us all fooled! Most of the photographs are by Jennifer Kovach - thanks! 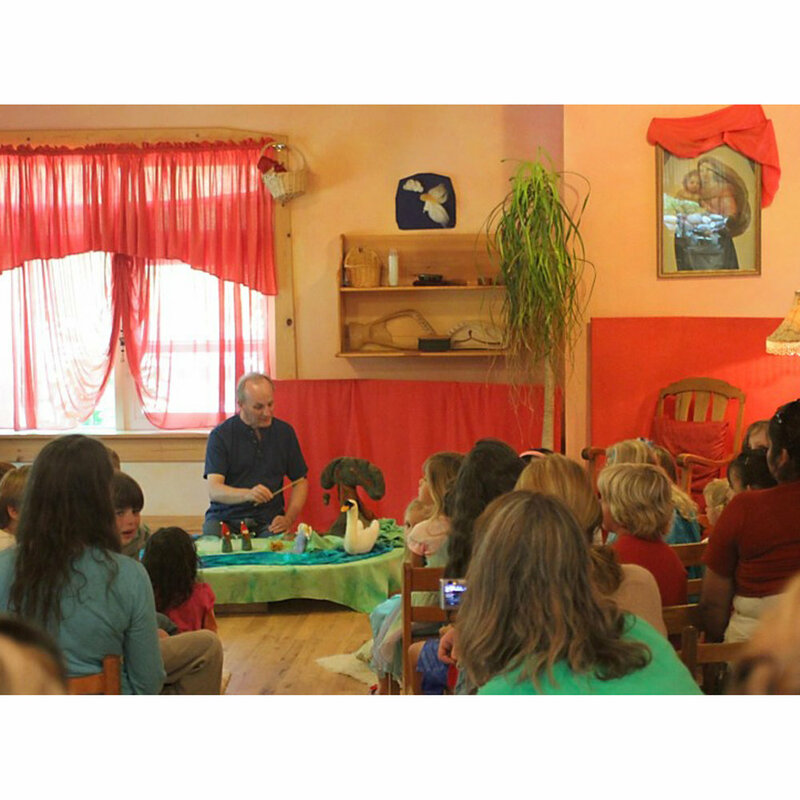 The bookstore at Rudolf Steiner College promoted and hosted this event. We had quite a crowd on a beautiful spring morning. The children were delightful and the mood was definitely positive. Photos by Shani Young - thank you! Here's a selection of Lucy Goose puppets. You'll see Lucy Goose herself, the Swan King, Henrietta Moorhen and more. Enjoy! This is a felted glove puppet. Here are the puppets from The Bee who lost his Buzz. Back then I didn't even have a stage - just a cloth on the ground and I was good to go. Children play with the puppets. A wonderful audience with very active children. The college rooms have the right ambience for the arts, which makes things a lot easier. Click for slideshow. Photos by Sara Wilson. The Bee who lost his Buzz at Lisbon Preschool. Tiptoes Lightly and Jeremy Mouse sailing away. Somehow or other I got an invite to come this is friendly preschool and not only this kids were engaged but the parents showed up in the middle of the day too. Thank you, Ms Buck! And thank you to Elvira Hernandez for her photos! 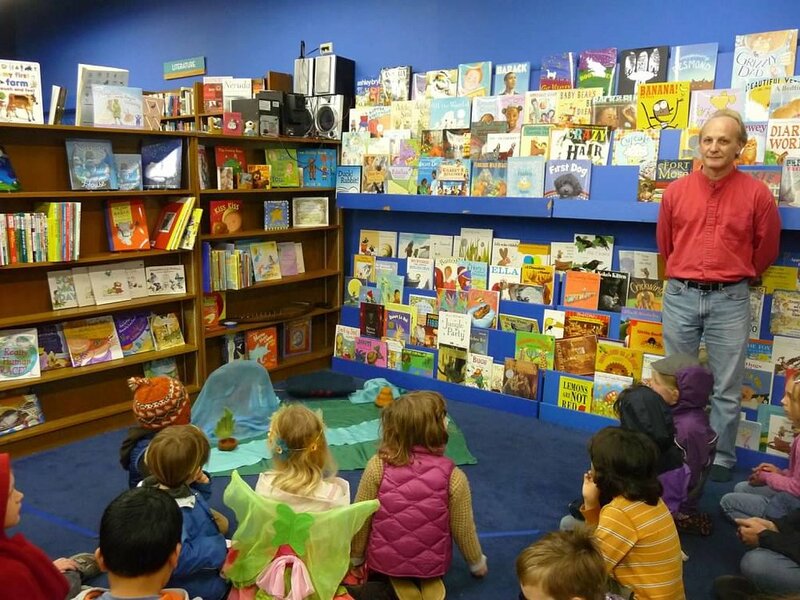 The bookstore kids section was smallish and the number of people who turned up was biggish. Standing room only! Photos by Sarah Waldrop - thank you! Thanks to Nancy Ciraulo's organizing skills I was able to bring this tale to the Belle Cooledge Library. Photos by Nancy Ciraulo. Click for slideshow. The shepherd boy with his flock of sheep. The Sun Child inside the manger. 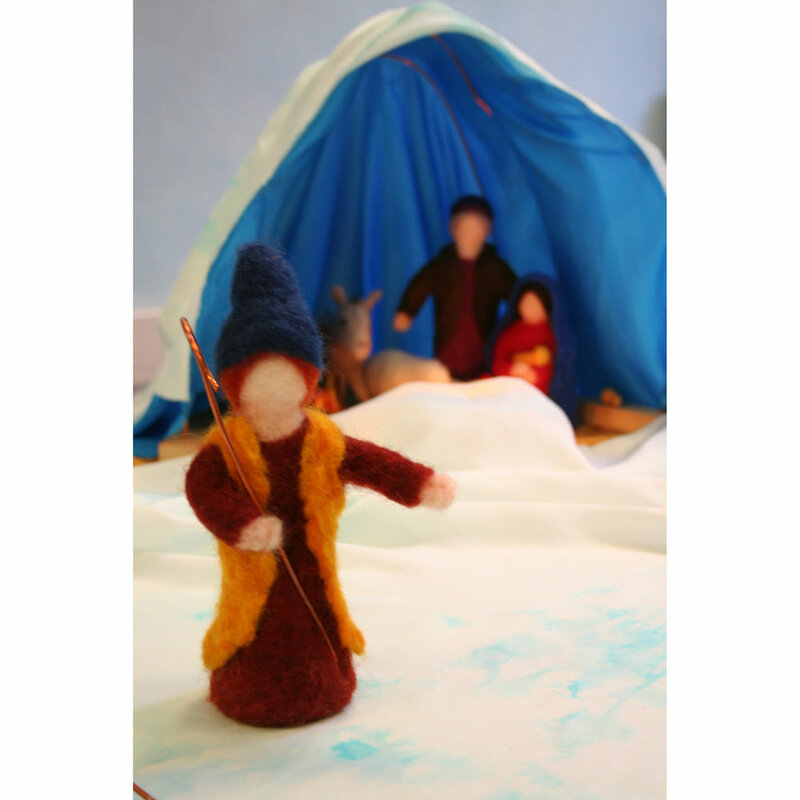 I performed this Christmas puppet show a couple of years running at Rudolf Steiner College. We always had a very warm atmosphere. Thank you to the bookstore for making the arrangements. Photos by Sara Wilson and Marlene Laughter - thanks, guys! 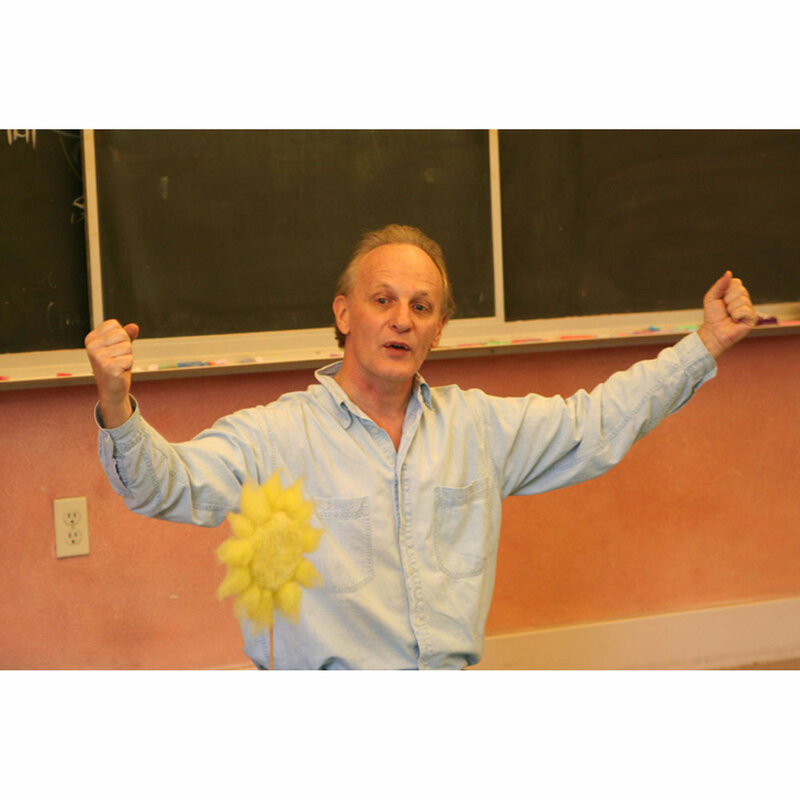 I have performed this tale at Camellia Waldorf School and East Bay Waldorf School in California. 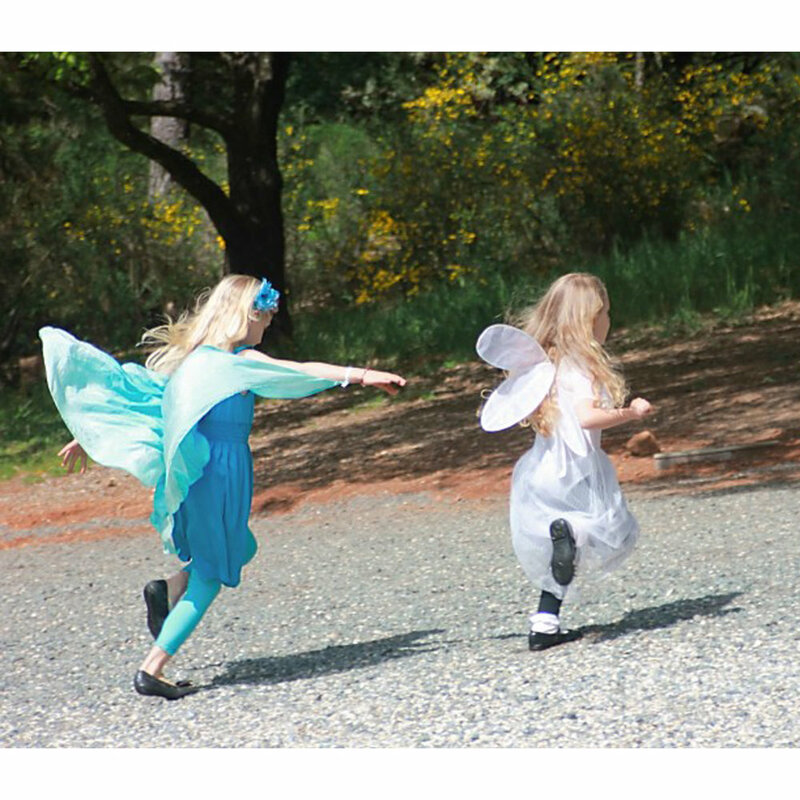 Portland Eurythmy also performed this tale in eurythmy in 2014 and toured it around Oregon. I performed The Adam Child at their May Fair in 2011. What a beautiful and fun day! The show was part of an open house and enrollment drive. Lots of friendly folk on a sunny day. It's Halloween and everyone is in costume for the school day ... course I didn't know this as wasn't! 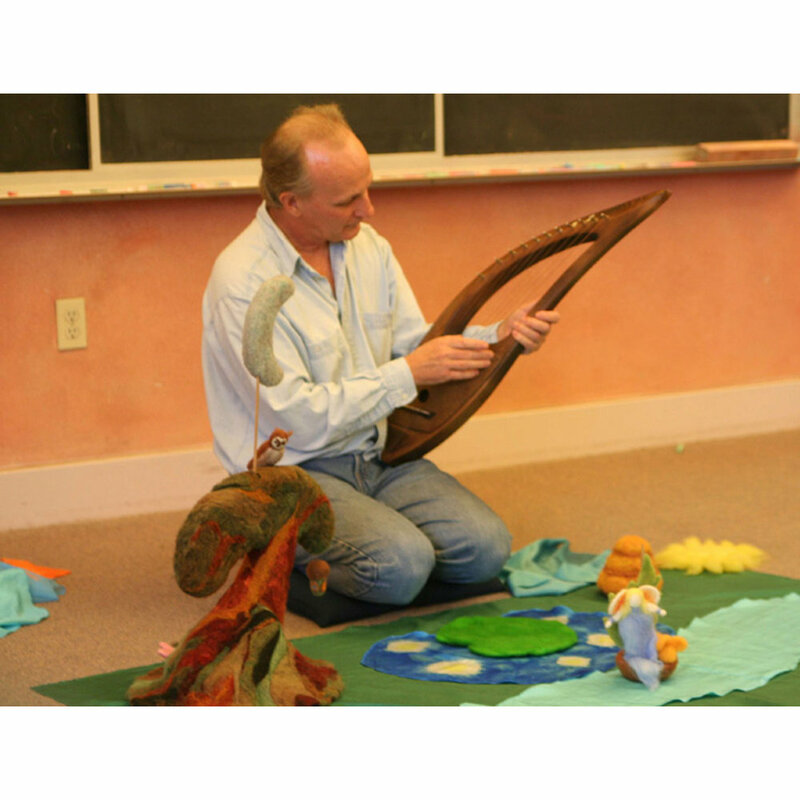 In a Toronto Waldorf School kindergarten. I performed this Halloween show in a number of places. The photos are from the Crocker Art Museum, Sacramento, California, 2013 and the Toronto Waldorf School, in Canada, 2017. As you can see from the school photos the kids, and teachers, were all dressed up for Halloween. I had to borrow a hat from one of the kids to be properly dressed! 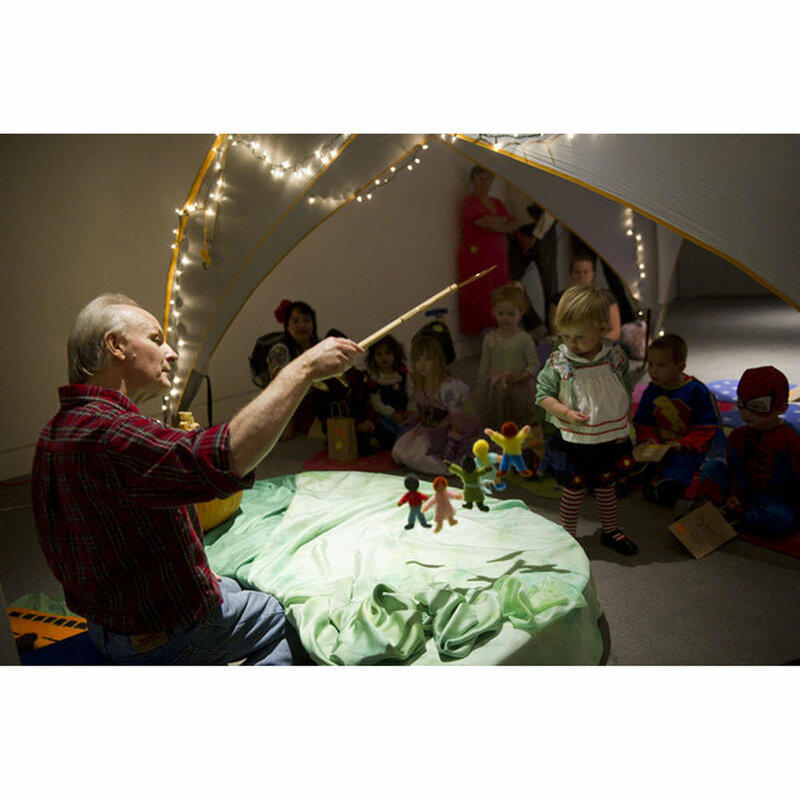 Crocker Art Museum photo credit: Lezlie Stirling of The Sacramento Bee.